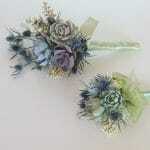 Blue Gray succulent bouquet crafted with echeverias and blue thistle and eucalyptus. 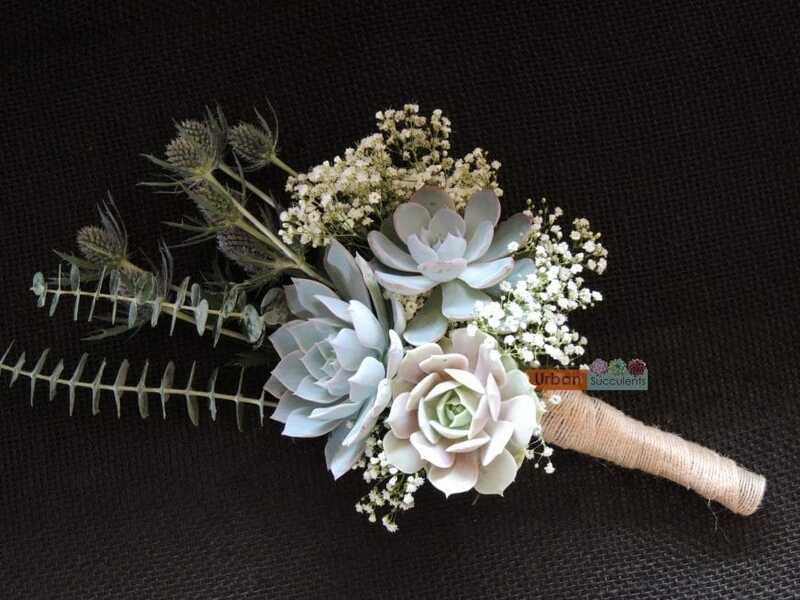 Bride'smaid Succulent BouquetThis bouquet is created with 5 2-inch succulents and a few splashes of color from statice flowers or kalonchoe blooms.Main succulent is an aeonium sunbusrst. Full size bridal succulent bouquet (approximately 9.5 inches in diameter)This bouquet is created with Queen Anne’s lace, therefore is a San Diego delivery only.If you like this combination outside of San Diego I can provide the wired succulents for you to take to a local florist to assemble with local fresh Queen Anne’s lace. 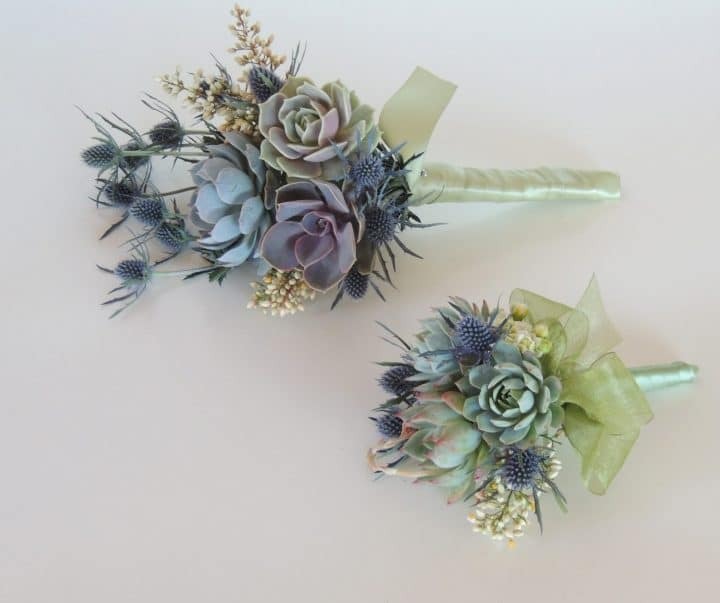 100% Succulent Bouquet.Created with two dozen succulents in all different sizes and colors accentuated with kalonchoe and aeonium bloom. The stems are wrapped in natural fiber ribbon.